There is an old custom that when a woman gets engaged, she should start to grow her hair. There is no doubt that having long hair will give you a lot of flexibility in choosing both your hairstyle and headpiece for your wedding. 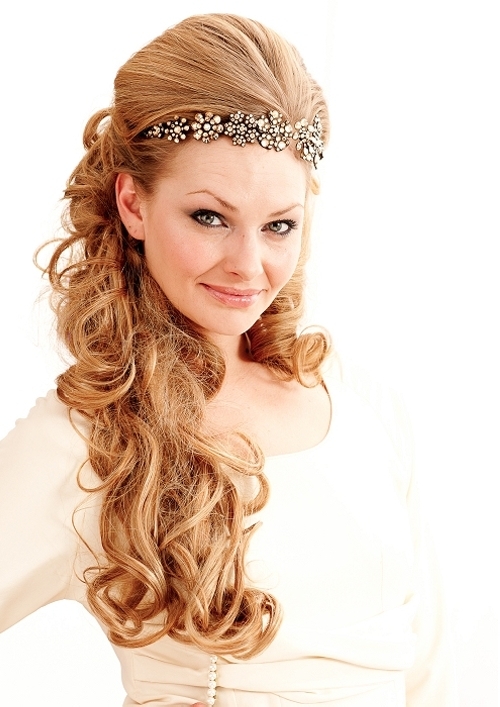 There are a few things to keep in mind when choosing the perfect wedding hairdo for long hair. The first question is whether to wear your hair up or down. This will depend, in part, on just how long your hair is. Very long hair, while very pretty, also requires a lot of brushing to look neat over the course of a long day. This type of maintenance is totally impractical during a busy wedding day. 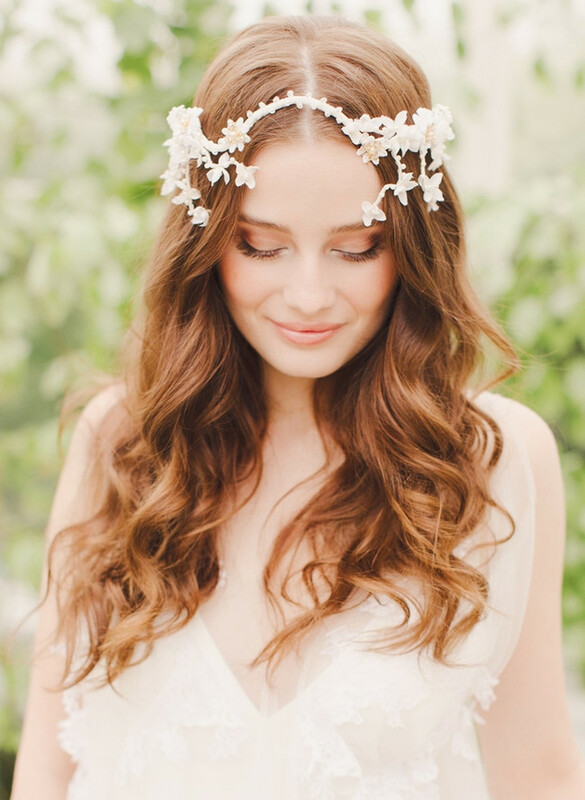 If your hair is only sort of long, flowing waves can be a very romantic look. A nice compromise is to pull some of your hair back, and let the rest be down. This is great for brides who love their long hair and want to show it off. It's also a nice idea if your fiance has always loved to see your hair long and loose. 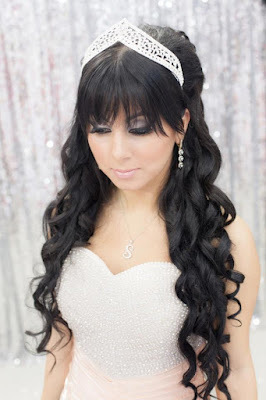 Pulling some of your hair back will also give you better options for anchoring a pretty piece of hair bridal jewelry, like a comb or delicate tiara. When your bridal hairstyle is all down, the only type of hair jewelry that tends to work is a wreath, which has pretty limited uses. Many brides with long hair will choose to wear it up, and having it long means that it can be sculpted into all sorts of intricate hairdos. When you are thinking of an updo, it is very important to have at least one trial run with your hairstylist before the wedding. Your regular stylist might be terrific at cut and color, but not all of them excel at formal hairstyles. With long hair, you might need to seek out a stylist who specializes in working with your hair length. Finding the right stylist is particularly important for brides whose hair is very long, like waist length or even longer. A true story: the day of my wedding, all of my bridesmaids had come to my salon to have their hair styled. One of my bridesmaids had exceptionally long hair, and when the stylist saw it, he looked at her and said, "What am I supposed to do with this?"! Fortunately, a different stylist stepped forward to take care of her, and she looked beautiful in the end, but not before a few tears were shed. It is bad enough to see this happen to a bridesmaid, but imagine if it was you on your wedding day. That is why trial runs are so critical. Another great reason to have a practice hairstyle is to see how it feels. If you have a lot of hair, or it is thick, having it all piled on top of your head can actually give you a headache! For brides who find that to be the case, a low bun at the nape of the neck can be a more comfortable option, as can wearing the hair half down. There are so many wonderful looks that you can create for your wedding with long hair. One very pretty style is to have a series of braids woven into a bun at the lack of your head. 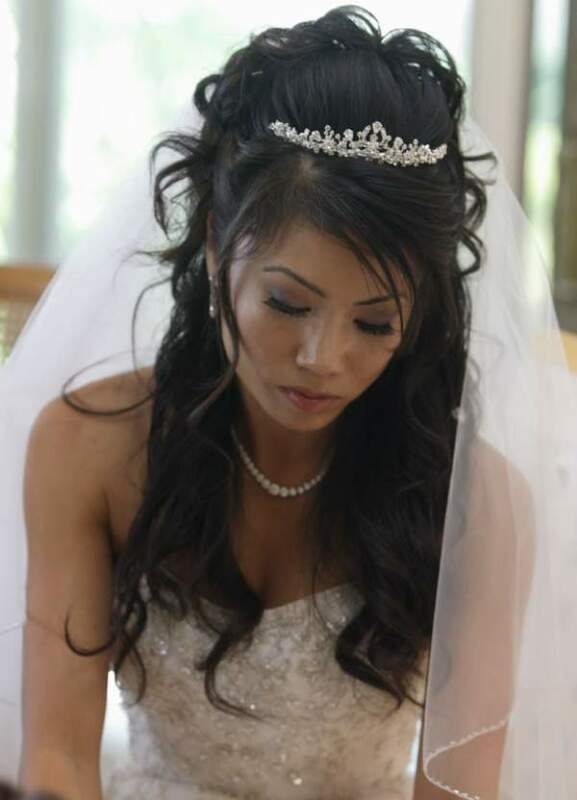 A classic chignon is another lovely updo for a bride. It is a great idea to go through magazines and pick out a few looks that appeal to you. Don't limit yourself to wedding magazines, either - you can often find the most chic looks at celebrity events. Long hair will give you so many choices for your wedding. All you have to do is narrow it down to your favorite look, whether it is classic, romantic, or cutting edge. With so many wonderful options, you are sure to find a style that makes you feel absolutely beautiful. 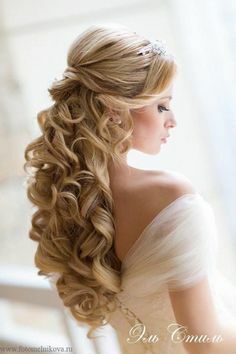 0 Response to "Hairstyles For Brides With Long Hair"